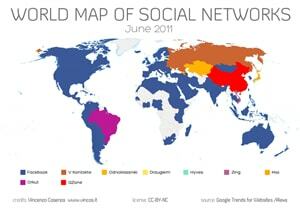 Yesterday we wrote about Social Media in Russia where the most popular social networks aren’t parallel with the rest of the world. However, this is exactly what you need to consider when launching an international social media campaign. Christian Amo, of Lingo24, wrote an article on Jay Baer’s blog, Convince & Convert, about the steps you need to do when launching a your product or service worldwide through social media. Choose the right social networks.